Running Corporate Volunteering and Team Experiences is a unique part of our business. Partnering with the business community to highlight the benefits of disability inclusion is important, as we’ve found that employees quickly discover just how enjoyable and rewarding the experience can be. In addition, it's a great way for business leaders to motivate their teams. 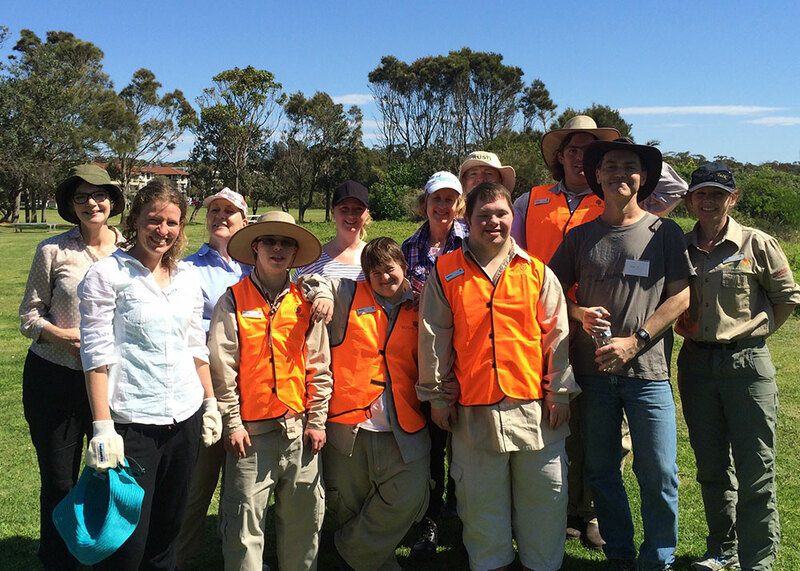 Your employees will increase and strengthen their positive attitudes towards people with disability through hands-on environmental activities. We're flexible - with options for location, catering and times. Or let us organise it all for you. So if you’re keen to add the positive quality of ‘disability inclusion’ to your company’s achievements, simply book an event with Bushlink and we’ll design a package to suit your needs. We’re ready to discuss your needs or requirements, take you through our ‘starter info’ (e.g. how a typical day looks, details about working with you, logistics and any other questions you may have). If you like what you hear, we’ll send you more details about Corporate Volunteering or Team Experience with Bushlink.